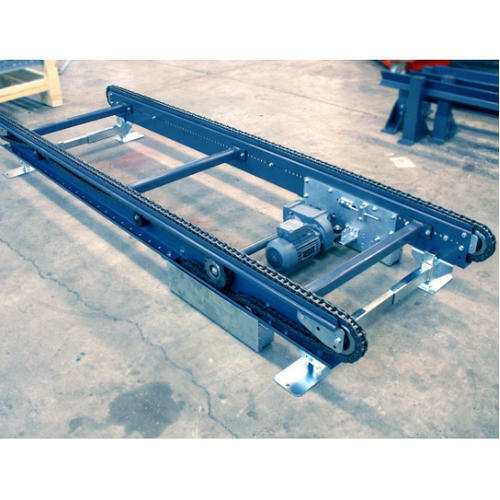 We are involved in offering a wide range of Chain Conveyors. Owing to its dimensional accuracy, high functional efficiency and effective performance, these devices are extensively preferred by various numbers of clients. Our devices are acclaimed for their high tensile strength and robustness. These are admired for their uninterrupted performance and consistency. PMG EQUIPMENTS supply Metal detectors and Magnets. These Metal detectors & Magnets are used for removing metal contaminants from the processes. Contaminants like ferrous, non ferrous and Stainless steel of various sizes are part of every processes. Metal detectors are used widely in Food, Pharma, Pet foods, Garments, Crushers etc This contaminants can damage the macheneries in the processes line. Contaminants can also reach human beings when they consume in the form of food or Pharma product. We have been catering to our Indian Market for the past two decades. Our metal detectors are being used by Confectionery, Biscuit, Bread,Oil, Pet foods, Pharma, Garments, Automotive, Cement, Rubber industries etc. Our mission is to provide the world excellent products and services redefining its quality. We are committed to delivering quality service to our community in an effective, responsive, and professional way. We will use the finest quality materials with skilled craftsmen, who will do the job right the first time and provide responsible after the sale service. We will provide a positive and growing environment for our business associates and shall adhere to the best of ethical practices..